I’m often asked how one can be thankful at this time of year when struggling with pain, heartache, and disappointment. If that is your situation, too, my answer is in a Thanksgiving prayer I wrote a few years ago that continues to be said each year by thousands across the U.S. and overseas. It’s a prayer that reminds us of who God is and what He might be doing in circumstances we don’t understand. Thank you, God, for Your many blessings this past year — the ones we’ve seen, as well as the ones we haven’t seen (Romans 8:28). Thank you, God for the times You have said “no.” They have helped us depend on You so much more (Jeremiah 29:11). Thank you, God, for unanswered prayer. It reminds us that You know what’s best for us, even when our opinion differs (Matthew 7:11). Thank You for the things you have withheld. You have protected us from what we may never realize. Thank you for the physical pain You’ve allowed. 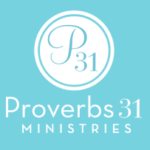 It has helped us more closely relate to Your sufferings on our behalf (Philippians 3:10). . Thank you, Lord, for the alone times in our lives. Those times have forced us to lean in closer to You (Hebrews 13:5). Thank you, God, for the uncertainties we’ve experienced. They have deepened our trust in You (Isaiah 43:2). Thank You, Lord, for the losses we have experienced. They have been a reminder that You are our greatest gain (Philippians 3:8). 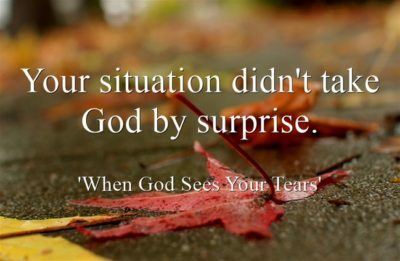 Thank You, God, for the tears we have shed (Psalm 56:8). They have kept our hearts soft and moldable. Thank You, God, for the situations we haven’t been able to control. They have reminded us that You are sovereign and on the throne (Job 42:1) . Thank You, God, for Your ability to take what we consider ‘tragedy’ and turn it into a treasure (Psalm 71:20-21). Thank You, God, for those You have called home to be with You. Their absence from this earth reminds us to keep our eyes fixed on heaven (Psalm 116:15). Thank You, God, that we have an inheritance in the heavenly places…something that this world can never steal from us and we could never selfishly squander (John 14:2-3). Thank You, God, for the greatest gift You could ever give us: forgiveness through Your perfect Son’s death on the cross on our behalf (2 Corinthians 5:17). And thank You not only for our eternal salvation, but for the salvation You afford us every day of our lives as You save us from ourselves, our foolishness, our own limited insights, and our frailties in light of Your power and strength (Psalm 71:15). Have a blessed Thanksgiving, my friend. We DO have so very much to be grateful for. Do you need help through life's transitions? on Giving Thanks When Life Hurts. Very beautiful and encouraging words Mrs.Mcmenamin, Greetings from my home country Belize. Sometimes we wallow too much in the darkness when the essence and presence of God’s live is all around us ,above us and in us. He is on the Throne and He continues loving us with His everlasting love. Our spiritual eyes must be opened to experience this. Thank you, Josefina, for YOUR beautiful words. God’s blessings to you…. Thank You Cindi for that awesome prayer. What a great reminder of what we should be thankful for on a daily basis. Towards the end of it tears began to flow giving me more of a grateful heart, knowing how true and faithful God really is. Happy Thanksgiving to you and your family. Nice and beautiful words. But why does God allow so much pain and heartache? Not just talking about now but throughout my life. So so tired. HI Jack: In order to answer that question we have to look at the character of God. In Scripture we are told He is a good father (Matthew 7:11) and He knows what is best for us. He is also God and His ways are perfect (Psalm 18:30). He created us to live in a perfect, sin-free world. But, like our ancestors Adam and Eve, and all who have lived since them, we are sinners by nature. We live in a fallen world where bad things happen and that’s a world WE created. A good God will not shield us from everything bad because what happens to children who never have a hard day in their lives? They grow up spoiled and feeling entitled. Romans 8:28-29 tells us He knows how to turn everything (even the pain and heartache) into good in our lives when we surrender to Him. And that “good” is that our hardships and heartaches can make us more like Jesus. That’s God’s goal for us…to have the character and likeness of His perfect Son as we trust in Him throughout the ordeals of this life. Every good and perfect thing in this world is from God. Every hurtful thing in this world is ultimately the result of how mankind puts himself first before God. God is not obligated to bless us in any way, but when we surrender to Him, He loves to bless His children in a way that is best for us, eternally. I believe this with my whole heart. And I, too, am not without pain, loss, and heartache. Start focusing on the good things you have been given in spite of the losses. It will grow you as a person and help you see more of the goodness of God. Really appreciate what you’ve talked about because to me its so helpfull. Thank you, Anna. Have a blessed Thanksgiving.